The Skirling Poetry Circle will be meeting next on Sunday 7th April, for the for the reading, writing and general enjoyment of poetry. Please come along and bring a favourite poem that you have written or read - all welcome! Any questions, please contact Gavin Mitchell on 07964 667781 or Chris Burn on 07814 074453, or send an email to skirlingpoetry@gmail.com. Skirling's toddler group has moved to Monday mornings in Skirling village hall. Click here for more information. 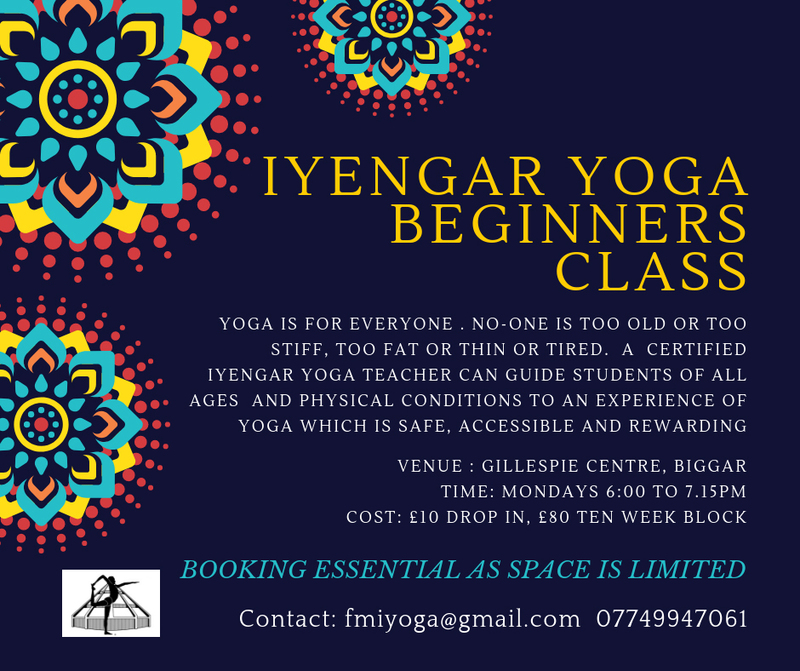 A new beginners' class in Iyengar Yoga is available at the Gillespie Centre in Biggar on Tuesday evenings for £10 per session or £80 for a block of 10 sessions. Excellent for students of all ages and physical condition. Contact Fiona by email or on 07749 947061. Click here for more details. This year a grand total of £295.33 was raised for the Poppy Fund in Skirling, £10 more than last year. Thank you to everyone who contributed and to Ian Storie, who has been collecting for the fund for 20 years. Our bees have produced quite a bit of honey this year and they have been rewarded with First Prize in the honey class at Biggar Horticultural Show. Click here to find out more and for an update on our bees. To see the photos, please visit the gallery. Reslating of the hall has now finished and we are very grateful to SSE Clyde Borders Community Fund for the substantial grant, without which it would not have been possible. This means Skirling's social events are starting up again - thanks to the Village Hall Committee for pulling together a thorough newsletter.